Choosing a tax accountant to do your taxes is a decision that all business owners should carefully consider. Knowing how to choose a tax accountant is important. I wrote this blog post so you can be prepared as you research for a Greeley tax accountant; Loveland tax accountant; in Fort Collins or wherever you’re located, throughout northern Colorado. First, decide if you’ll be working with your tax accountant throughout the year, every month or if you’ll only work together once a year. I strongly recommend working with a tax accountant on an ongoing basis, simply because it takes less time and effort on your part in the long run. Research to find your potential tax accountant by asking friends in your networking groups who they work with and or if they have a tax accountant they recommend. Research locally. If you live in Greeley, Colorado or nearby and are looking for a tax accountant, type this into Google: Greeley bookkeeping reviews. Also try: Greeley Accounting and Bookkeeping. Then click on the map and click on individual listings there to read the reviews of each tax accountant’s business. Then narrow down your list of tax accountant candidates and call each one and ask these questions, below. How much experience do you have with tax preparation? Ideally, your prime candidate has more than 10 years of experience. As an EA, I have specialized in tax rules and codes for many years. I will work hard to make sure your business is taking all the allowable deductions you are entitled to and help you understand what information you need to track. I’ll help you minimize your tax liability while staying honest and help you to understand your tax situation. What are the first steps you take with your new clients? Your tax accountant should have systems in place to make it easy and fast for you, the busy business owner, to provide the items needed in order to properly prepare your tax returns. How have you saved money for your clients with their tax returns? Listen carefully for case studies. 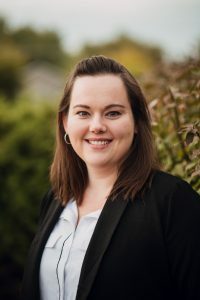 Your tax accountant cannot betray client confidentiality, of course, but should be able to inform you about the variety of industries of their clients and the types of tax credits, tax deductions she or he has successfully achieved. Ask for references. 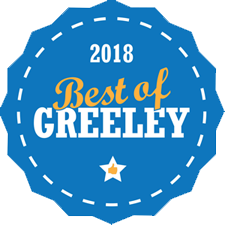 Your Greeley tax accountant should be able to provide you with references so you can call them and ask about their experience with this tax accountant’s work. I’ve kept this very simple and brief for you to read. There are many other things to consider before hiring a tax accountant. If you have any questions, please don’t hesitate to contact us here at West Ridge Accounting and Bookkeeping. West Ridge Accounting and Bookkeeping offers an affordable, accurate and reliable accounting services. We want to give every client the confidence in knowing that they have the best results on their tax return. I want to work with you to educate you on your specific tax situation, not just prepare your return. I know how important understanding your tax situation is and as my client, you will have my advice year-round. Tax planning is free for all my current tax clients. We offer Full charge business services so you can focus on the things you are good at, running your business, while you let me take care of what I am good at, your books. Our services vary from very simple to very complex. It’s all about what your business needs.